Certified. 2016 Honda Civic LX FWD CVT 2.0L I4 DOHC 16V i-VTEC CARFAX ONE OWNER, MILES LOWER THAN THE AVERAGE MILES ON THE SAME MAKE AND MODEL!, Honda CERTIFIED! 7 YEARS/100K POWERTRAIN WARRANTY!.Located on Washington Blvd., We are just minutes from Beverly Hills, Los Angeles, Santa Monica, Torrance and North Hollywood. Recent Arrival! 31/41 City/Highway MPGHonda Certified Pre-Owned Details: * Limited Warranty: 12 Month/12,000 Mile (whichever comes first) after new car warranty expires or from certified purchase date * Transferable Warranty * Powertrain Limited Warranty: 84 Month/100,000 Mile (whichever comes first) from original in-service date * Vehicle History * Warranty Deductible: $0 * 182 Point Inspection * Roadside Assistance with Honda Care purchaseAwards: * 2016 IIHS Top Safety Pick+ (When equipped with honda sensing) * NACTOY 2016 North American Car of the Year * 2016 KBB.com Brand Image Awards2016 Kelley Blue Book Brand Image Awards are based on the Brand Watch(tm) study from Kelley Blue Book Market Intelligence. Award calculated among non-luxury shoppers. For more information, visit www.kbb.com. Kelley Blue Book is a registered trademark of Kelley Blue Book Co., Inc.Why Choose Culver City Honda - we choose volume sales over large profit margins! Our Certified Pre-Owned Honda s and every Pre-Owned vehicle passes inspection or we don't sell it!! Our Service Department is filled with Honda Factory Trained Technicians who care, our Parts Department is fully stocked, we offer a free shuttle during your service, free Wi-Fi in our Customer Lounge. Print this page and call us now to schedule a test drive. We are open 7 Days a week and minutes away from Los Angeles and the Valley. Located on Culver Blvd. In between the 405 and 10 Freeway, minutes from Santa Monica, downtown Los Angeles, Beverly Hills, Torrance and close to the LAX airport. Garff founded his automotive business over 81 years ago in downtown Salt Lake upon principles of honesty, integrity, and personalized customer service. (888) 988 7545. 2016 Honda Civic LX FWD CVT 2.0L I4 DOHC 16V i-VTEC CARFAX ONE OWNER, Honda CERTIFIED! 7 YEARS/100K POWERTRAIN WARRANTY!, Cloth.Located on Washington Blvd., We are just minutes from Beverly Hills, Los Angeles, Santa Monica, Torrance and North Hollywood. Recent Arrival! Odometer is 5934 miles below market average! 31/41 City/Highway MPGAwards: * 2016 IIHS Top Safety Pick+ (When equipped with honda sensing) * NACTOY 2016 North American Car of the Year * 2016 KBB.com Brand Image Awards2016 Kelley Blue Book Brand Image Awards are based on the Brand Watch(tm) study from Kelley Blue Book Market Intelligence. Award calculated among non-luxury shoppers. For more information, visit www.kbb.com. Kelley Blue Book is a registered trademark of Kelley Blue Book Co., Inc.Why Choose Culver City Honda - we choose volume sales over large profit margins! Our Certified Pre-Owned Honda s and every Pre-Owned vehicle passes inspection or we don't sell it!! Our Service Department is filled with Honda Factory Trained Technicians who care, our Parts Department is fully stocked, we offer a free shuttle during your service, free Wi-Fi in our Customer Lounge. Print this page and call us now to schedule a test drive. We are open 7 Days a week and minutes away from Los Angeles and the Valley. Located on Culver Blvd. In between the 405 and 10 Freeway, minutes from Santa Monica, downtown Los Angeles, Beverly Hills, Torrance and close to the LAX airport. Garff founded his automotive business over 81 years ago in downtown Salt Lake upon principles of honesty, integrity, and personalized customer service. (888) 988 7545. Certified. 2016 Honda Civic EX FWD CVT 2.0L I4 DOHC 16V i-VTEC CARFAX ONE OWNER, Honda CERTIFIED! 7 YEARS/100K POWERTRAIN WARRANTY!.Located on Washington Blvd., We are just minutes from Beverly Hills, Los Angeles, Santa Monica, Torrance and North Hollywood. Recent Arrival! 31/41 City/Highway MPGHonda Certified Pre-Owned Details: * Roadside Assistance with Honda Care purchase * Limited Warranty: 12 Month/12,000 Mile (whichever comes first) after new car warranty expires or from certified purchase date * Powertrain Limited Warranty: 84 Month/100,000 Mile (whichever comes first) from original in-service date * Vehicle History * Warranty Deductible: $0 * Transferable Warranty * 182 Point InspectionAwards: * 2016 IIHS Top Safety Pick+ (When equipped with honda sensing) * NACTOY 2016 North American Car of the Year * 2016 KBB.com Brand Image Awards2016 Kelley Blue Book Brand Image Awards are based on the Brand Watch(tm) study from Kelley Blue Book Market Intelligence. Award calculated among non-luxury shoppers. For more information, visit www.kbb.com. Kelley Blue Book is a registered trademark of Kelley Blue Book Co., Inc.Why Choose Culver City Honda - we choose volume sales over large profit margins! Our Certified Pre-Owned Honda s and every Pre-Owned vehicle passes inspection or we don't sell it!! Our Service Department is filled with Honda Factory Trained Technicians who care, our Parts Department is fully stocked, we offer a free shuttle during your service, free Wi-Fi in our Customer Lounge. Print this page and call us now to schedule a test drive. We are open 7 Days a week and minutes away from Los Angeles and the Valley. Located on Culver Blvd. In between the 405 and 10 Freeway, minutes from Santa Monica, downtown Los Angeles, Beverly Hills, Torrance and close to the LAX airport. Garff founded his automotive business over 81 years ago in downtown Salt Lake upon principles of honesty, integrity, and personalized customer service. (888) 988 7545. Certified. 2016 Honda Civic EX FWD CVT 2.0L I4 DOHC 16V i-VTEC CARFAX ONE OWNER, Honda CERTIFIED! 7 YEARS/100K POWERTRAIN WARRANTY!.Located on Washington Blvd., We are just minutes from Beverly Hills, Los Angeles, Santa Monica, Torrance and North Hollywood. Recent Arrival! 31/41 City/Highway MPGHonda Certified Pre-Owned Details: * Transferable Warranty * Vehicle History * 182 Point Inspection * Limited Warranty: 12 Month/12,000 Mile (whichever comes first) after new car warranty expires or from certified purchase date * Powertrain Limited Warranty: 84 Month/100,000 Mile (whichever comes first) from original in-service date * Warranty Deductible: $0 * Roadside Assistance with Honda Care purchaseAwards: * 2016 IIHS Top Safety Pick+ (When equipped with honda sensing) * NACTOY 2016 North American Car of the Year * 2016 KBB.com Brand Image Awards2016 Kelley Blue Book Brand Image Awards are based on the Brand Watch(tm) study from Kelley Blue Book Market Intelligence. Award calculated among non-luxury shoppers. For more information, visit www.kbb.com. Kelley Blue Book is a registered trademark of Kelley Blue Book Co., Inc.Why Choose Culver City Honda - we choose volume sales over large profit margins! Our Certified Pre-Owned Honda s and every Pre-Owned vehicle passes inspection or we don't sell it!! Our Service Department is filled with Honda Factory Trained Technicians who care, our Parts Department is fully stocked, we offer a free shuttle during your service, free Wi-Fi in our Customer Lounge. Print this page and call us now to schedule a test drive. We are open 7 Days a week and minutes away from Los Angeles and the Valley. Located on Culver Blvd. In between the 405 and 10 Freeway, minutes from Santa Monica, downtown Los Angeles, Beverly Hills, Torrance and close to the LAX airport. Garff founded his automotive business over 81 years ago in downtown Salt Lake upon principles of honesty, integrity, and personalized customer service. (888) 988 7545. 2018 Honda HR-V LX FWD CVT 1.8L I4 SOHC 16V i-VTEC CARFAX ONE OWNER, Honda CERTIFIED! 7 YEARS/100K POWERTRAIN WARRANTY!.Located on Washington Blvd., We are just minutes from Beverly Hills, Los Angeles, Santa Monica, Torrance and North Hollywood. Recent Arrival! 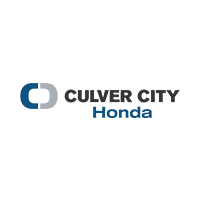 28/34 City/Highway MPGWhy Choose Culver City Honda - we choose volume sales over large profit margins! Our Certified Pre-Owned Honda s and every Pre-Owned vehicle passes inspection or we don't sell it!! Our Service Department is filled with Honda Factory Trained Technicians who care, our Parts Department is fully stocked, we offer a free shuttle during your service, free Wi-Fi in our Customer Lounge. Print this page and call us now to schedule a test drive. We are open 7 Days a week and minutes away from Los Angeles and the Valley. Located on Culver Blvd. In between the 405 and 10 Freeway, minutes from Santa Monica, downtown Los Angeles, Beverly Hills, Torrance and close to the LAX airport. Garff founded his automotive business over 81 years ago in downtown Salt Lake upon principles of honesty, integrity, and personalized customer service. (888) 988 7545. Certified. 2016 Honda Accord LX FWD CVT 2.4L I4 DOHC i-VTEC 16V CARFAX ONE OWNER, Honda CERTIFIED! 7 YEARS/100K POWERTRAIN WARRANTY!.Located on Washington Blvd., We are just minutes from Beverly Hills, Los Angeles, Santa Monica, Torrance and North Hollywood. Recent Arrival! 27/37 City/Highway MPGHonda Certified Pre-Owned Details: * Powertrain Limited Warranty: 84 Month/100,000 Mile (whichever comes first) from original in-service date * Vehicle History * 182 Point Inspection * Warranty Deductible: $0 * Limited Warranty: 12 Month/12,000 Mile (whichever comes first) after new car warranty expires or from certified purchase date * Transferable Warranty * Roadside Assistance with Honda Care purchaseAwards: * ALG Residual Value Awards * 2016 KBB.com Brand Image Awards2016 Kelley Blue Book Brand Image Awards are based on the Brand Watch(tm) study from Kelley Blue Book Market Intelligence. Award calculated among non-luxury shoppers. For more information, visit www.kbb.com. Kelley Blue Book is a registered trademark of Kelley Blue Book Co., Inc.Why Choose Culver City Honda - we choose volume sales over large profit margins! Our Certified Pre-Owned Honda s and every Pre-Owned vehicle passes inspection or we don't sell it!! Our Service Department is filled with Honda Factory Trained Technicians who care, our Parts Department is fully stocked, we offer a free shuttle during your service, free Wi-Fi in our Customer Lounge. Print this page and call us now to schedule a test drive. We are open 7 Days a week and minutes away from Los Angeles and the Valley. Located on Culver Blvd. In between the 405 and 10 Freeway, minutes from Santa Monica, downtown Los Angeles, Beverly Hills, Torrance and close to the LAX airport. Garff founded his automotive business over 81 years ago in downtown Salt Lake upon principles of honesty, integrity, and personalized customer service. (888) 988 7545. Certified. 2016 Honda Civic LX FWD CVT 2.0L I4 DOHC 16V i-VTEC CARFAX ONE OWNER, MILES LOWER THAN THE AVERAGE MILES ON THE SAME MAKE AND MODEL!, Honda CERTIFIED! 7 YEARS/100K POWERTRAIN WARRANTY!.Located on Washington Blvd., We are just minutes from Beverly Hills, Los Angeles, Santa Monica, Torrance and North Hollywood. Recent Arrival! 31/41 City/Highway MPGHonda Certified Pre-Owned Details: * 182 Point Inspection * Powertrain Limited Warranty: 84 Month/100,000 Mile (whichever comes first) from original in-service date * Warranty Deductible: $0 * Roadside Assistance with Honda Care purchase * Transferable Warranty * Limited Warranty: 12 Month/12,000 Mile (whichever comes first) after new car warranty expires or from certified purchase date * Vehicle HistoryAwards: * 2016 IIHS Top Safety Pick+ (When equipped with honda sensing) * NACTOY 2016 North American Car of the Year * 2016 KBB.com Brand Image Awards2016 Kelley Blue Book Brand Image Awards are based on the Brand Watch(tm) study from Kelley Blue Book Market Intelligence. Award calculated among non-luxury shoppers. For more information, visit www.kbb.com. Kelley Blue Book is a registered trademark of Kelley Blue Book Co., Inc.Why Choose Culver City Honda - we choose volume sales over large profit margins! Our Certified Pre-Owned Honda s and every Pre-Owned vehicle passes inspection or we don't sell it!! Our Service Department is filled with Honda Factory Trained Technicians who care, our Parts Department is fully stocked, we offer a free shuttle during your service, free Wi-Fi in our Customer Lounge. Print this page and call us now to schedule a test drive. We are open 7 Days a week and minutes away from Los Angeles and the Valley. Located on Culver Blvd. In between the 405 and 10 Freeway, minutes from Santa Monica, downtown Los Angeles, Beverly Hills, Torrance and close to the LAX airport. Garff founded his automotive business over 81 years ago in downtown Salt Lake upon principles of honesty, integrity, and personalized customer service. (888) 988 7545. Certified. 2016 Honda Civic LX FWD CVT 2.0L I4 DOHC 16V i-VTEC CARFAX ONE OWNER, MILES LOWER THAN THE AVERAGE MILES ON THE SAME MAKE AND MODEL!, Honda CERTIFIED! 7 YEARS/100K POWERTRAIN WARRANTY!.Located on Washington Blvd., We are just minutes from Beverly Hills, Los Angeles, Santa Monica, Torrance and North Hollywood. Recent Arrival! 31/41 City/Highway MPGHonda Certified Pre-Owned Details: * Warranty Deductible: $0 * Vehicle History * Transferable Warranty * Powertrain Limited Warranty: 84 Month/100,000 Mile (whichever comes first) from original in-service date * 182 Point Inspection * Limited Warranty: 12 Month/12,000 Mile (whichever comes first) after new car warranty expires or from certified purchase date * Roadside Assistance with Honda Care purchaseAwards: * 2016 IIHS Top Safety Pick+ (When equipped with honda sensing) * NACTOY 2016 North American Car of the Year * 2016 KBB.com Brand Image Awards2016 Kelley Blue Book Brand Image Awards are based on the Brand Watch(tm) study from Kelley Blue Book Market Intelligence. Award calculated among non-luxury shoppers. For more information, visit www.kbb.com. Kelley Blue Book is a registered trademark of Kelley Blue Book Co., Inc.Why Choose Culver City Honda - we choose volume sales over large profit margins! Our Certified Pre-Owned Honda s and every Pre-Owned vehicle passes inspection or we don't sell it!! Our Service Department is filled with Honda Factory Trained Technicians who care, our Parts Department is fully stocked, we offer a free shuttle during your service, free Wi-Fi in our Customer Lounge. Print this page and call us now to schedule a test drive. We are open 7 Days a week and minutes away from Los Angeles and the Valley. Located on Culver Blvd. In between the 405 and 10 Freeway, minutes from Santa Monica, downtown Los Angeles, Beverly Hills, Torrance and close to the LAX airport. Garff founded his automotive business over 81 years ago in downtown Salt Lake upon principles of honesty, integrity, and personalized customer service. (888) 988 7545. Black 2017 Honda Civic LX FWD CVT 2.0L I4 DOHC 16V i-VTEC CARFAX ONE OWNER, Honda CERTIFIED! 7 YEARS/100K POWERTRAIN WARRANTY!, Cloth.Located on Washington Blvd., We are just minutes from Beverly Hills, Los Angeles, Santa Monica, Torrance and North Hollywood. Recent Arrival! 31/40 City/Highway MPGAwards: * 2017 IIHS Top Safety Pick (When equipped with Honda Sensing) * 2017 KBB.com 10 Most Awarded Brands * 2017 KBB.com Brand Image Awards2016 Kelley Blue Book Brand Image Awards are based on the Brand Watch(tm) study from Kelley Blue Book Market Intelligence. Award calculated among non-luxury shoppers. For more information, visit www.kbb.com. Kelley Blue Book is a registered trademark of Kelley Blue Book Co., Inc.Why Choose Culver City Honda - we choose volume sales over large profit margins! Our Certified Pre-Owned Honda s and every Pre-Owned vehicle passes inspection or we don't sell it!! Our Service Department is filled with Honda Factory Trained Technicians who care, our Parts Department is fully stocked, we offer a free shuttle during your service, free Wi-Fi in our Customer Lounge. Print this page and call us now to schedule a test drive. We are open 7 Days a week and minutes away from Los Angeles and the Valley. Located on Culver Blvd. In between the 405 and 10 Freeway, minutes from Santa Monica, downtown Los Angeles, Beverly Hills, Torrance and close to the LAX airport. Garff founded his automotive business over 81 years ago in downtown Salt Lake upon principles of honesty, integrity, and personalized customer service. (888) 988 7545.